Some of the copywriting techniques we use on a daily basis when writing for our clients are actually general techniques that we all use when we want to persuade, captivate or compel an audience. Rather than look at widely-known web copywriting techniques – things like using “bullets”, “sub-headers”, “short sentences” etc I wanted to look at some of the more subtle ideas that can create more compelling writing and better content marketing. The core message that arises from answering those questions should be distilled into a powerful central message – and once you have that you should repeat it, over and over again. This is the cornerstone of building a great brand. Ours is “better content, better business”. 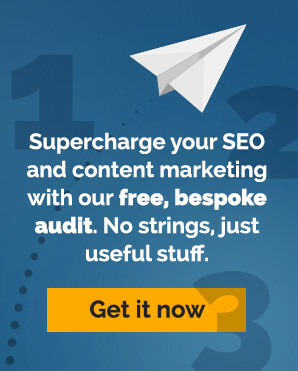 We know that by writing better content your business will improve. But it also references the fact that we’re not just writers. We understand business. And we offer strategy and services like brand story writing, tone of voice writing, SEO, Adwords management and so on that enhance the effectiveness of the content we write. That message is something I try to get across in everything we write. But there’s also the sense of repetition of the spirit of your brand story through the content you create. You don’t want to keep literally repeating yourself in your blog content but your brand story should inform your content strategy – and all your content should flow from there. Make sure that all the blog titles you choose align with this central message. Ask yourself the question – does this blog enhance or expand my communication of this message? If it does, all well and good. If it doesn’t, choose another topic. Make sure everything you write is “on message” – horrible phrase, but a highly effective approach. Finally, repetition is also important for SEO. You need to include your target keyword throughout your content as a signpost to Google that this content is relevant to users searching for that phrase. Don’t overdo it though – my rule of thumb is that if you’re writing natural, readable content that is genuinely relevant to the phrase then you shouldn’t have to worry too much about overuse. Some experts in SEO may also mention including synonyms and related phrases as a workaround to the search engine’s Latent Semantic Indexing – but, again, in practice, if you’re writing a strong, focused article these should naturally occur within your writing. For this post, I’ve set my target keyword as “copywriting techniques”. I use the Yoast SEO plug in – virtually the industry standard for use with WordPress sites and this allows me to check things like keyword placement, keyword density etc. There are smatterings of “writing”, “writers”, “techniques”, “skills” etc throughout. Thematically I’m inspired by my content strategy which at the moment is focused on the importance of getting your brand story right as the core component of good copywriting and the importance of SEO in any web copywriting. In short, find your core proposition and repeat… endlessly. It might be as simple as the fact that they like you, as an individual, and want to work with you. Whatever that thing is that you’ve got that others haven’t then that’s what your brand story is. And that’s your answer to the “why”. With content marketing you have to answer a “why” before you even get to the checkout. To answer these questions you have to know your customer inside out so that you every piece of content you put out is relevant and engaging to them. This can be explicit in your branding, by showing it’s for kids who spend too much time on screens, pregnant women, or middle aged men with hair loss. And it should be implicit in your choice of subject matter and in the tone of voice you use to write. Finally, one of the best copywriting techniques for answering the “why” is to offer a guarantee. Consistency is married to integrity and rational behaviour. Even the most unlikely claims can be made justifiable if made consistently, with supporting evidence. So make sure to keep your copywriting on track and on message. Get your central message straight and keep saying it over and over again. This kind of consistency – being “on message” – is vital. But consistency isn’t just important in what you say but how you say it, where you say it and how frequently you say it. Starting with what you say – work out your tone of voice so that it’s consistent throughout your communications. It’s best to think of your brand as a single person. That’s generally how consumers will engage with you whether you’re talking through passive communications like advertising or web pages, or more active communications like blogs or social media. The best brands have a consistent tone of voice throughout the organisation so that customer service representatives will talk face-to-face or over the phone in much the same way as the Twitter account manager would or the blog writer or the web copywriter. To achieve this level of consistency you need Tone of Voice Guidelines. Usually this would be part of your brand style guide but it doesn’t need to be a long, heavy or onerous tome. In fact, we’ve found that 1 – 2 sheets of A4 is generally sufficient, tailored to purpose (e.g different variations for social media writing, blog writing, product pages). You might include examples of how you want to sound, referencing influential people or publications. You might include a list of the words you like and those you don’t. Media outlets may have very long tone of voice guidelines with specific instances of how words and phrases should be written and how different pieces of text should be structured. What’s important is that your tone of voice guidelines capture your personality and are easy to implement practically, so that everyone in your organisation can follow them. The where and the how are also important. The ins and outs of choosing the right strategy for distributing your content are subjects for another post but once you have chosen your platform then you want to be consistent in publishing regularly. This is not just because this will help you build an audience but also because it will allow you to gather meaningful data on what is and isn’t working with your content. Whether your audience genuinely agree with your thinking or not, support for your argument gives you credibility. People will come round to your line of reasoning if you can show them strong evidence to support your core proposition. There are several copywriting techniques that you can use to provide evidence. The best kind of evidence is hard data. There’s enough data out there to support virtually any proposition. Graphs, pie charts, bar charts – illustrations are brilliant for backing up statements in your blog posts. If you can get hard data from credible sources on the claims you make for your product or service then that’s even better. An accurate, up-to-date statistic from an authoritative source is hard to beat. Second to stats are quotes – again, the source is critical. Always attribute your quotes properly, with a link to the original source material to add further weight. One of the most powerful ways of providing evidence for your proposition is with user reviews or testimonials. These provide an immediate legitimacy for your product or service. Writing that uses testimonials and references directly taps into shared credibility. There are multiple ways of seeking these out from comments or reviews sections within your site, to reviews on Google, or to direct outreach to your customers. Demonstration is another option. Show people how your product or service works. Write a case study describing a before and after situation where you provided a benefit to the user. If you can’t get data or a quote then tell a story. Use anecdote to illuminate the virtues of your product or service. Even using references to well-known and successful organisations or name dropping the most tenuous of endorsements can reflect positively. This issue of evidence also pertains to SEO. Google looks for justification for your proposition in a similar way to your customers, with one important difference. Your customers judge your proposition based on whether it matches their needs. Google judge your proposition on whether it is relevant to a user search query. Both require evidence to support your claim to relevance. Google requires evidence. Firstly, it looks for content on your site relevant to the search queries you’re targeting. More importantly, Google looks for evidence from the links to your site from other sites. These are, in effect, a vote of confidence for your relevance. Again, the more credible and authoritative the source (in Google’s eyes) the bigger the vote of confidence you’ll get. Language is rich with metaphors, similes and analogies that can be used to paint vivid scenarios and comparisons. Aligning your copywriting to a scenario your audience can relate to can turn them strongly in your favour. Don’t be afraid to tell stories, to use the power of words to make your product or service come to life. What are your favourite copywriting techniques? Let us know!